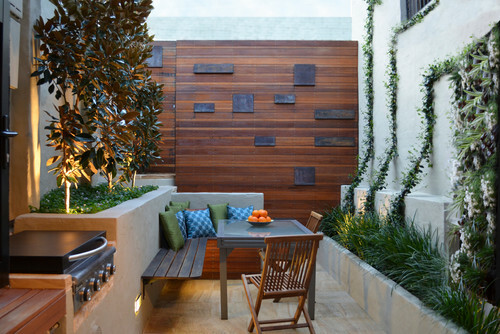 Urban gardening is less a style than it is a circumstance, but we still carve out a category we call urban gardens. 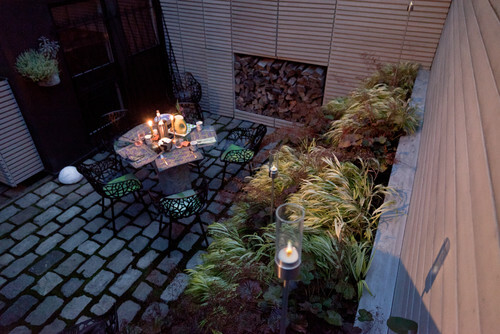 traditions have grown up around gardening in urban areas. 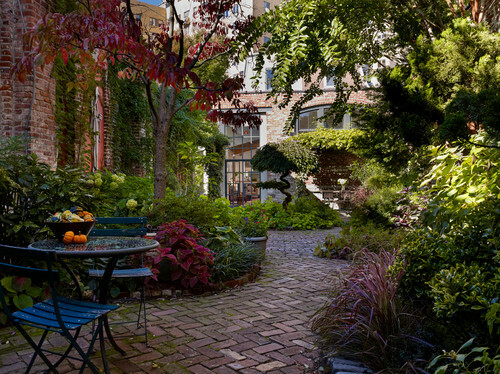 The history around gardens located in urban areas is a varied and patchwork thing…the forms and purposes of gardening in the city have changed and the societal norms surrounding them have followed the times. 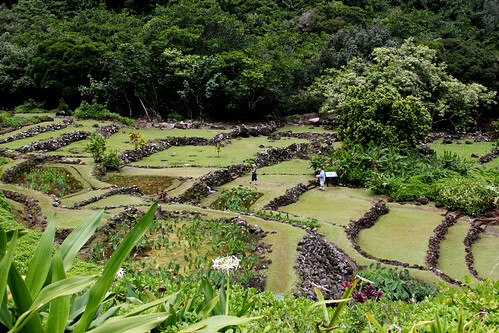 Evidence of significant efforts by all cultures to create gardens near and in their cities is abundant in our world, as in this modern day view of terraced gardens built by villagers in the islands of Hawaii centuries ago. In ancient times and places where food distribution channels and available means dictated, men and women gardened in whatever spaces were available near their homes, and their fortunes and health were entirely tied to them. 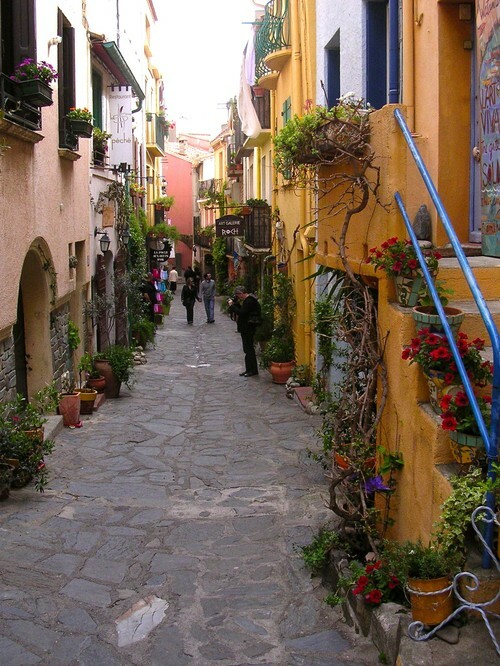 As distribution of food and a sense of shared destiny formed more cohesive towns and cities, these gardens were able to morph into highly decorative and pleasing environments, with residents depending less upon the purely practical reasons for gardening and able to adjust to a focus on designing pleasing spaces. 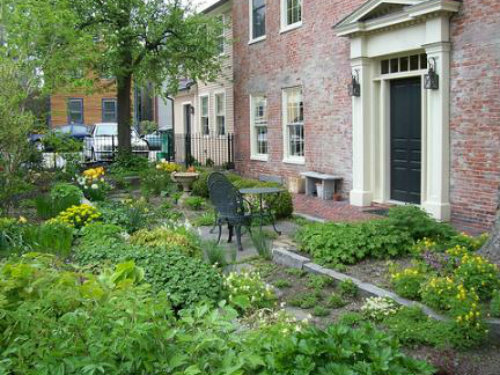 More recent history is rich with awareness of the significance of the garden in an urban environment. 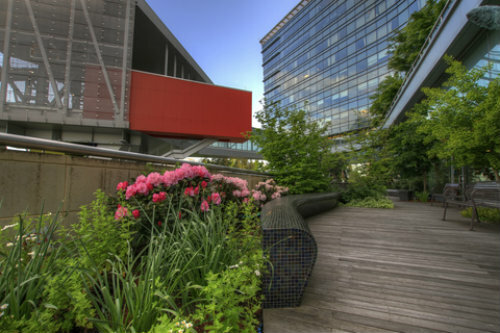 Multiple programs by government and civic organizations have promoted urban gardening for various reasons throughout recent history. 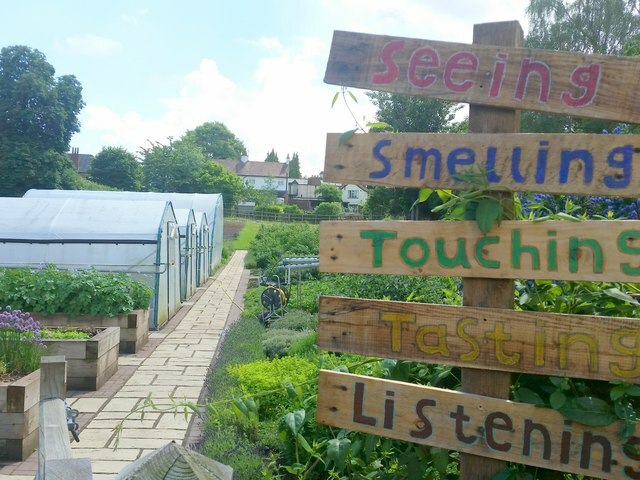 Ross-on-Wye Community Garden Summer 2016 - A garden for touching, smelling, etc. "men and women who can not get through life alone, whether because of ignorance, poverty, disease, or whatever else. It [The Charities Review] tells, in other words, the current story of society in relation to its inefficient members. It serves throughout the country as an index and a guide to individual and local efforts for the betterment of social conditions"
Now if that isn't an "attitude" I don't know what is!!! 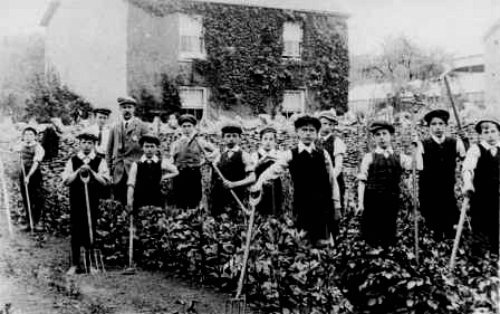 Children's Gardens were promoted from the 1890s clear through the 1920's as teaching programs, while civic gardening campaigns were promoted throughout the western world as healthy, righteous and worthy activity. 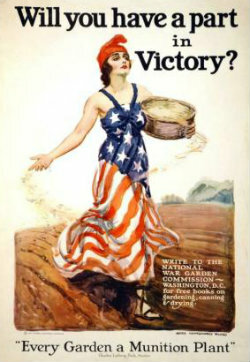 provide food and sustenance for Americans. 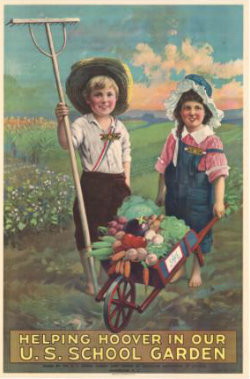 Later, during the 1930's depression era, gardens were promoted both by the government and by civic organizations as ways to feed the hungry, and to provide honestly for oneself. We've got a theme going here, don't we?!! 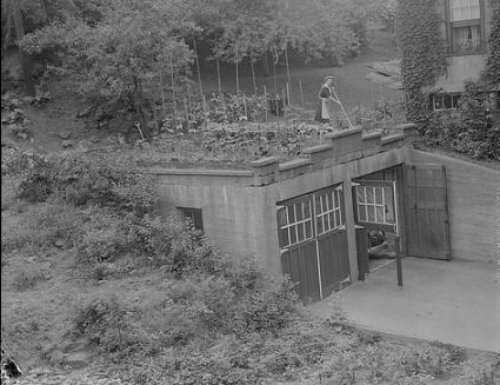 Again, during WWII gardens were promoted as "Victory Gardens", a public symbol of support for American troops and of national pride in a prosperous economy driven by the war. During the 1970's and 1980's, community gardens were again urged upon the cites and towns of America as solutions to the decaying social and physical state of the inner city. Today, urban gardening is promoted as a method to return to nature, as a protest against genetically engineered and chemically treated foods, and as a counterbalance to a lifestyle that is wasteful of natural resources. The most recent focus is upon sustainable gardening, and upon ways to [get the irony here!] 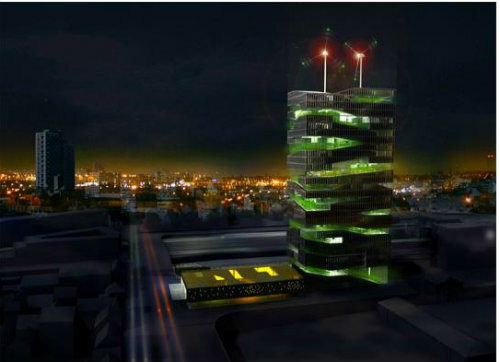 revitalize the urban environment using technology to engineer gardens as part of our livable space, particularly in the "high rise" and highly congested cities of our world. Clear from the history related above, urban gardening, contrary to the new "marketing" strategies associated with it, is not new. 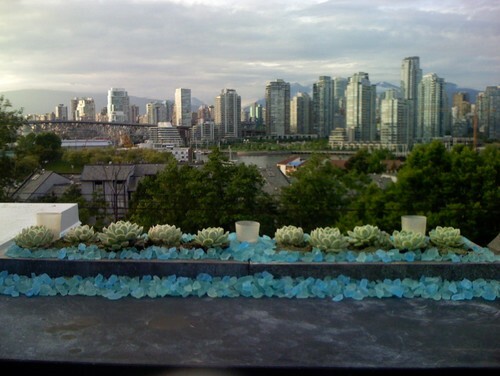 Still, the methods and practices associated with modern urban gardening are exciting, and with new developments in technology, some exciting times are ahead. by Philadelphia General Contractors Hanson General Contracting, Inc.